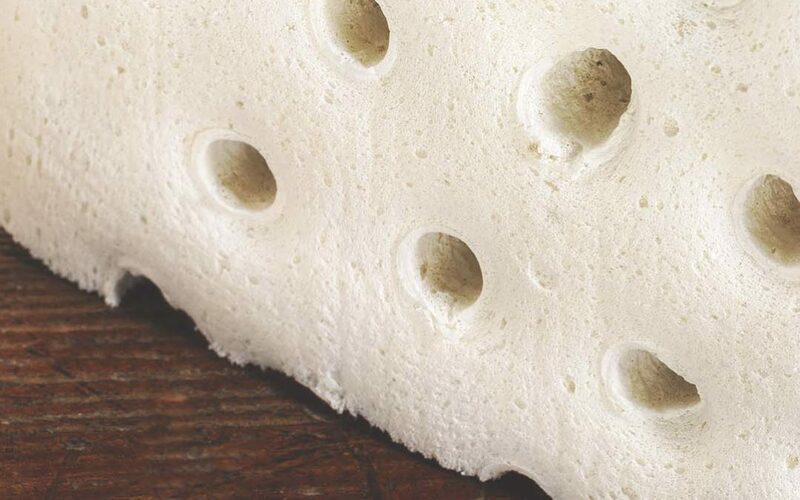 In this post, we outline what makes latex mattresses so good, and why we believe they will eventually lead to the death of the memory foam mattress. If you are looking for the best rated double sided mattresses for either yourself or a loved one, then you may have noticed more and more latex mattresses on offer. Memory foam mattresses have traditionally been considered to be the most supportive and comfortable of all. However, the more people who learn about the benefits of latex mattresses, the more we know that these will be favored over their memory foam counterparts. The overall structure of a double-sided latex mattress is much sturdier than that of a memory foam mattress. Impressions are left in memory foam quite easily; and over time as these impressions become deeper, it can make it difficult to turn and move as you sleep. With latex, you will not feel stuck or restricted whatsoever as the bounce-back-ability is far greater. With a latex mattress, the comfort index is far greater than with a memory foam mattress. Latex mattresses are much more resilient and provide better support. There are also more options when it comes to the levels of firmness within the latex. Compared to memory foam which can leave you very hot, latex mattresses are open-cell and exceptionally breathable, helping to keep you cool and refreshed while you sleep. Generally, the ventilation in memory foam is poor, and this leads to substandard moisture dissipation. Simply put, the memory foam retains moisture which causes you to become hot and sticky while you sleep. A latex mattress has a different construction, the design is ventilated and it wicks away excess moisture with ease. The result is a much more comfortable nights’ sleep. A latex mattress has a far greater life expectancy than a memory foam mattress due to its durability. Because memory foam is density dependent, it has a tendency to get soft and less supportive over time. This is not the case with a latex mattress as it retains both its shape and support for a much greater period of time. If you have bought a brand-new mattress, then you will have come across the term off-gassing at one point or another. If you don’t know what it means, it is that highly distinctive smell that radiates around the room for a little while once you unwrap the new mattress. It smells a little chemically, and it isn’t nice. Although it does disappear after a short while, it is quite unpleasant. However, with a latex mattress, you get an almost vanilla-like scent and nothing anywhere near as smelly as with a memory foam mattress. Latex mattresses do not off-gas at all. Unlike memory foam mattresses, latex mattresses are not temperature sensitive. They will not change their feel or firmness in different weather or climate conditions. In a cold room, memory foam will start to harden, and in warmer rooms, they will get softer. This inconsistency is not good for your back, and it impacts upon the overall comfort the mattress delivers. Why Do We Love Latex Double Sided Mattresses So Much? At Royal Bedding, we use latex that is Oeko-Tex certified. Oeko-Tex is one of the most reputable third-party test criteria in the world. For those who are safety conscious, this is welcome news. The Oeko-Tex Test was created to identify any products that contain potentially harmful materials. Our latex contains ZERO fillers or binding agents. The reason fillers are bad is because they can cause the latex to break down quickly, resulting in a loss of comfort and support. This means if you buy a mattress packed with fillers, you will be replacing it a lot sooner than you would like. The latex we use in our latex mattresses received a Class 1 Certification, which is the highest score that a product can earn. All our products are absolutely and undisputedly safe for infants and children. This is of particular importance when you are looking at double-sided mattress brands and trying to decide which is the best two-sided mattress to buy. Always look for the Oeko-Tex Certification and the classification level that was achieved. We are exceptionally proud to have achieved the highest grading and know that this mark of quality makes us truly stand out head and shoulders above other double-sided mattress manufacturers. Our Latex is also Thermo-Neutral, which means that it is temperature insensitive and breaths 6-9 times better than most traditional foams on the market today. Although there are many double-sided mattress manufacturers, at Royal Bedding we have a superb reputation for delivering high-quality products that our customers love. If you want the best two-sided mattress, then you need look no further than the collections on offer at Royal Bedding. We are proud of our excellent reputation for delivering the best Innerspring mattresses and back that up with high-quality customer support.